Love your setup! I too want to build a sim pit using A2A 182 and Flight1 GTN 750. I’ve stalled at deciding which GA gauges to use, or which ones will work with A2A!! I have been playing around with flight1s GA Panel software.. It has trouble getting on nicely with A2A though. I’ve just come across https://www.siminnovations.com/index.php . ( Air manager) looks like this could maybe work with A2A.. Have you had any experience with Air Manager? Hi Chris. I run iPad Air Manager for the six gauges on the main panel display and it works great. It plays fine with A2A except for the RPM gauge. For that I use Tom Tsui’s 172 gauge on a Saitek FIP with the slight code modification mentioned in the post. That’s running via SPAD.neXt. 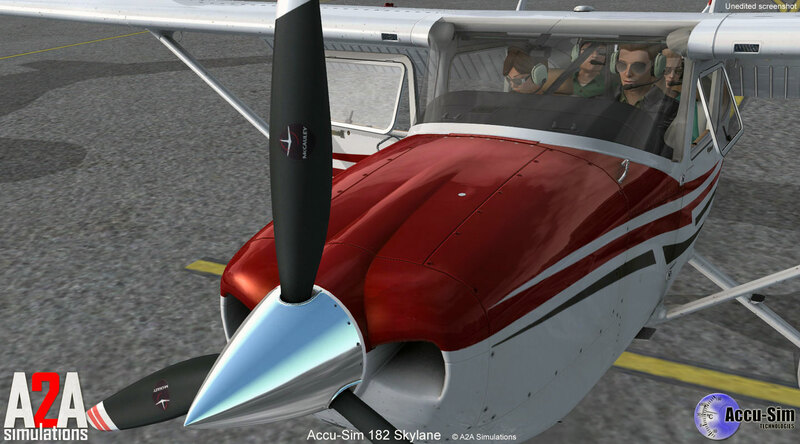 Thanks for sharing your learning experiences as you’ve built your sim . Love your videos by the way. I only have the Saitek yoke, throttle and rudder pedals. I’ve just brought Tom Tsuis c172 gauges … Having a little trouble figuring out how to install them.. Do I need to install SPAD.net first? No, but you do need BOTH the latest FIP drivers and FIP software from the Saitek site. Do a Google search on Saitek drivers and it should come up. Download the appropriate ones for your operating system, install them, reboot, and then follow Tom’s installation instructions. And you do have at least one Saitek Flight Information Panel? That’s where the gauge displays … They won’t display on an iPad etc.